Today’s post will discuss how dementias and Alzheimer’s Disease affect circadian rhythms and sleep, as well as some tips to help manage sleep disruptions effectively. There are a lot of factors that make up our sleep behavior. I first want to discuss the biology of sleep and how, even if there are no other sleep disorders, dementias and Alzheimer’s Disease disrupt the biological sleep cycle. Humans have an internal 24-hour clock that is synchronized with daytime and nighttime (light has a profound impact on this clock). This clock is referred to as our circadian rhythm. As people age, this clock changes so that they normally tend to go to sleep earlier and wake up earlier. Sleep disorders like insomnia and sleep apnea are more common in older people as well. 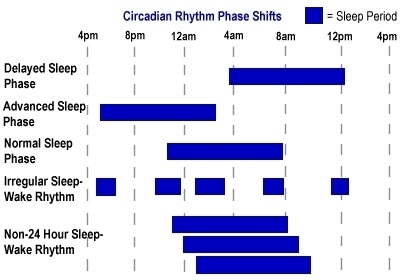 But their circadian rhythms are still primarily based on light (the more light, the more wakefulness; the less light, the more sleepiness) and time of day. 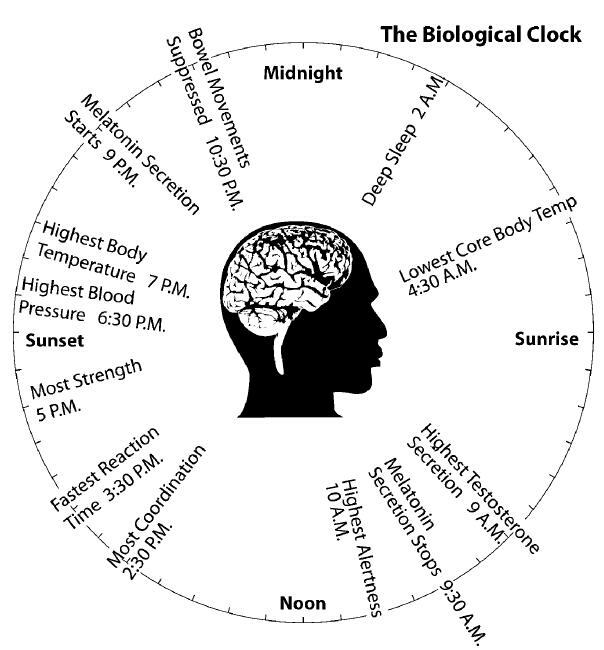 However, in our loved ones suffering from dementias and Alzheimer’s Disease, circadian rhythms go out the window because the diseases impair the brain’s ability to tell time and to distinguish between light and dark as indicators of when to sleep and when to awaken. It is sometimes helpful, in the early stages, to get a 24-hour clock to help our loved ones distinguish between A.M. hours and P.M. hours, but eventually that will be a casualty of the diseases. The most common circadian rhythm disorder associated with dementias and Alzheimer’s Disease is a phenomenon known as “sundowning.” It occurs in the late afternoon and early evening. It is characterized by speech and behavior repetition, constant pacing , excessive restlessness, wandering, disorientation to time and place, and agitation or aggression towards others. Wandering is especially dangerous because if our loved ones get outside, they can walk long distances with limited vision because of the sun going down, sometimes on crowded roadways, and are susceptible to being the victims of crime and vehicular death. One probable cause of sundowning is that there is damage to the part of the brain that produces melatonin (the sleep hormone) and the reduced production causes an irregular sleep-wake rhythm. Another theory on the cause of sundowning is related to the energy levels of our loved ones with dementias and Alzheimer’s Disease . At the end of the day they are likely tired from the day’s activities. This can aggravate the symptoms of the diseases, making them more anxious and stressed. Before the onset of these diseases, this time of day would have typically been the busiest for them. They would be getting home from work, getting ready for dinner, doing household chores, and going to bed. Now that they’re unable to do those things, they have little to do at a time that was the busiest of the day for them. The most common sleep disorder that occurs with dementias and Alzheimer’s Disease is an irregular sleep-wake rhythm. You can see in the graph above how disruptive this rhythm is and why our loved ones with dementias and Alzheimer’s can be so tired, in general, all the time. However, I believe the most damaging effect of this sleep pattern is that it actually prevents the restorative/repair functions that occur during a normal sleep rhythm, which exacerbates the neurological damage that dementias and Alzheimer’s Disease do to the brain. In short, this sleep pattern makes the diseases worse. The most effective – and safe – way to try to minimize an irregular sleep-wake rhythm is to add melatonin to nighttime medications. As I’ve said before, up to 12 mg of melatonin is considered safe, but start with a low dose (3 mg or 5 mg) and give it time to see if that gives our loved ones more continuous and restful sleep. The goal is to keep them asleep at night and keep them awake during the day. Too much melatonin can have them sleeping all the time. I would also suggest keeping our loved ones active and busy – as they are able – during the day (I will talk more about this in another post, but will briefly touch on it here). Up until the last week and a half of my mom’s life, when she’d had the major heart attack and just couldn’t do much with me, I had her help me with the household chores that she could like making the bed, folding laundry, preparing meals, and helping me with the dishes. I didn’t care whether it was perfect or not (initially a big challenge to my normal OCD about those kinds of things), but I found that the more she did, the better she felt and the better she slept. There is a sleep disorder that is specific to Lewy Body dementia and is one of the primary symptoms of that form of dementia. It is called R.E.M. sleep behavior disorder. R.E.M. sleep behavior disorder is impossible to miss. Anytime a sufferer is asleep, they are in motion acting out their dreams and, at least in my mom’s case, having sometimes understandable and sometimes not in-depth conversations. It is also characterized by “picking” at clothing or bedclothes while asleep. On the one hand, at least for me, it was quite fascinating to watch Mom dream and act out her dreams. Apparently – and I’ve seen this with other Lewy Body dementia sufferers, so it must be common for all of us to dream about – she dreamed quite often about food, because she’d often make the motion of either eating with a utensil or with her hands to her mouth. That was usually when she was napping during the day. Most of her conversations occurred at night, although occasionally she’d say a line or two during a daytime nap. And they’d last all night sometimes. Her nightime dreams also included a lot of moving around and possibly a version of restless legs syndrome (not uncommon for R.E.M. sleep behavior disorder). While I know this had a detrimental effect on her quality of sleep, it was disruptive for me too. I have always been a light sleeper and have had my own issues all my life with not sleeping much (and sometimes not sleeping at all for a day or two) and not getting quality sleep (waking up a lot or being wide awake in the early morning hours and not being able to go back to sleep for an hour or two). With Mom talking and moving around all night, it made sleep that much more difficult for me. An increase in melatonin helped with this as well. I bumped her up to 7 mg each night (she was at 5 mg before) and it was just enough to keep most of the symptoms at bay. There were still some nights when it was noticeable, but the worst of the symptoms seemed to be alleviated. And because she slept better, she felt better and did better during the daytime. I hope this brief overview helps. If you have any questions or any topics you would like to see discussed here, leave me a comment or email me at goinggentleintothatgoodnight.com. If I don’t know the answer, I’ll do my best to try to find it. You’re not alone and my intent and goal is to keep reminding you of that and help you as much as I am able. Sundowning was and still is a big problem with my brother. He was always hyper active as a child. They have a terrible time at the nursing home giving him anything that will keep him in bed very long. He wanders the halls most of the night, taking cat naps in chairs and on couches. If they wake him, take him, put him in bed, up he jumps and away he goes. They have changed his medication many times. When he was at home with us, he caused me to lose a lot of sleep. Once the circadian rhythms get out of sync and in turn sleep patterns change, sundowning tends to be a real issue. But it makes sense that it occurs at the time of day that is (and has been for our loved ones) often the busiest – between 5 and 7 pm usually – and sundowning is actually a response to our busyness or there is a shadow of memory of their own busyness in that timeframe in the past, or both. By identifying that, we as caregivers can create a calmer environment that may help alleviate some of the worst aspects of sundowning. Can you tell me how far in advance of nighty time should we disperse the Melatonin? Also, my husband was dx with Lewy Body nearly two years ago. Classic symptoms but I have him on nearly 20 supplements so he hasn’t declined every six months. After telling us absolutely my sweetie was terminally ill, put it in writing, after five mri and SPECT tests, in his mid 50’s, and just before Christmas, 2015, the neuro said today well this may be just be bipolar…what other test can I ask for to differentiate them? I am beyond speechless though hopeful. He is not safely functional without supervision and guidance, sundowner, psychosis, more. Thanks fir all you do. Sundowning generally starts around dusk (5 pm or after), so I’d try to give him the melatonin no later than 7 pm (natural melatonin production occurs around 9 pm). Lewy Body dementia is impossible, except symptomatically, to diagnose definitively until after death and a brain autopsy is done to confirm the presence of Lewy bodies in the brain. There is a strong link between dementia (given your husband’s age, frontotemporal dementia is a strong possibility – see for more information on the various types of early onset dementia) and bipolar disorder, but it is unusual for bipolar disorder to spontaneously occur later in life, because it is a chemical imbalance in the brain that manifests itself early in life. Get a psychiatrist who specializes in dementia. There are cognitive tests that can be given to get a more definitive diagnosis. Also, there are medications that the psychiatrist can use to help with the psychosis if it is dementia-related (or BPD – blood work is usually done as part of the workup for a BPD diagnosis). Please keep me posted on how you and your husband are doing. I send you prayers and hugs!